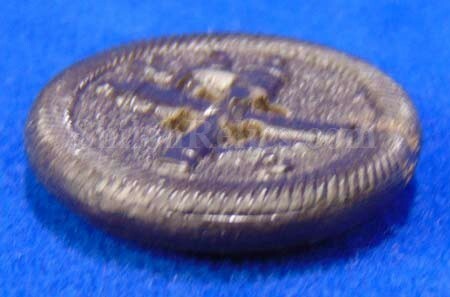 This one is an excellent original coat size 33mm version of the Civil War Confederate Navy button. This is the style that was made intended to be used on the C.S.S. Texas but before they could the ship was confiscated and sold by the English. They have the anchor in the center atop of 2 crossed cannons. Below the anchor and cannon are the magic letters "CN” for Confederate States Navy. 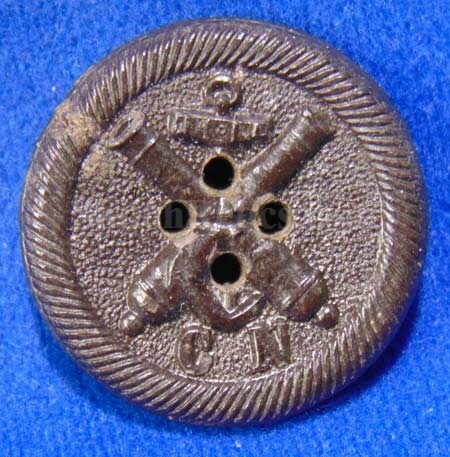 The border of the button has the rope-like design all the way around. 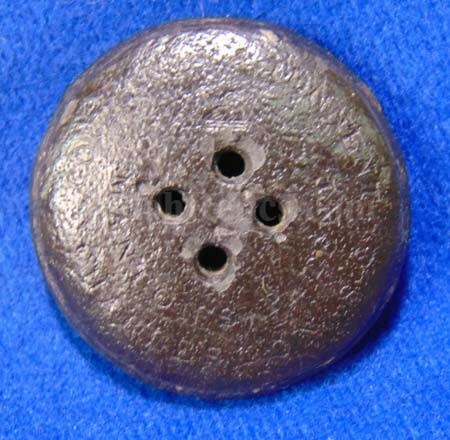 These buttons were designed to look like the U.S. navy coat button of the Goodyear patent. It has an excellent look that gives it a superb display. The backmark is the correct Civil War maker’s mark version of "COURTNEY & TENNENT . / CHARLESTON. S. C./ MANTON’S PATENT” with a swan design. This is the pattern listed as figure CS60 in Albert’s button book and CSN222A1 in Tice’s button book. 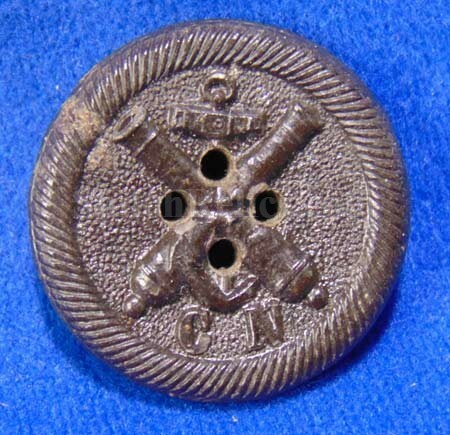 This is a wonderful and rare original Confederate coat size navy button.